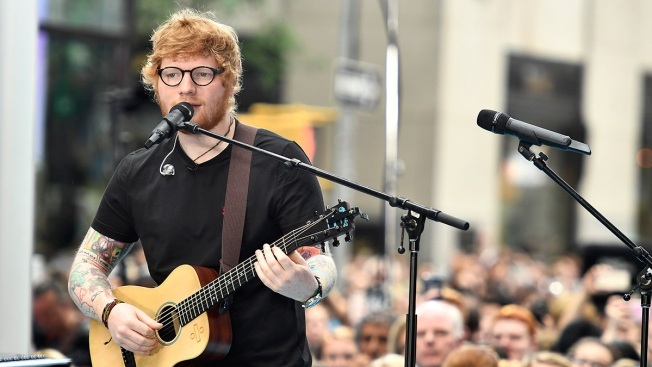 Ed Sheeran performs on NBC's "Today" at Rockefeller Plaza in this July 6, 2017, photo. The singer-songwriter is now opening up about his struggle with substance abuse. In Saturday's episode of "The Jonathan Ross Show," Ed Sheeran opens up about his secret struggle with substance abuse. "I think you need to, when you get into the industry, adjust to [fame], and I didn't adjust because I was constantly working on tour. And all the pitfalls that people read about, I just found myself slipping into all of them. Mostly, like, substance abuse," Sheeran said. "I never touched anything. I started slipping into it, and that's why I took a year off and buggered off." Before he released his third album in March, the singer went on a year-long hiatus to clear his head. During that time, Sheeran famously got rid of his cell phone and went on a self-imposed social media blackout. "I focused on work, and I can't work under the influence. I can't write songs under the influence. I can't perform under the influence. So, the more I worked, the less [that happened]," Sheeran said on the show. "I've worked my whole life to get to where I am, and you can't lose that over something that you do in your spare time." It took some time for Sheeran to realize he had a problem. "I didn't really notice it was happening," he said. "It just started gradually happening, and then some people took me to one side and were like, 'Calm yourself down.' It's all fun to begin with. It all starts off as a party, and then you're doing it on your own and it's not, so that was a wake-up call and [I took] a year off." Sheeran credited his girlfriend, Cherry Seaborn, with helping him kick his bad habits. "We live together now, and I think that was a real help grounding me," the British musician explained. "I was a 25-year-old in the music industry on tour, so I just needed someone to balance me out."